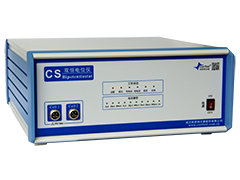 CS series multi-channel potentiostat/galvanostatis developed from the ordinary single-channel CS350 potentiostat. It can achieve upto 8channelssimultaneous measurements. You can also choose to use just one or some of the channels. 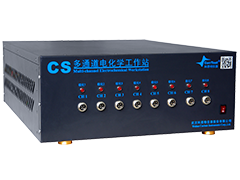 CS300X multi-channel potentiostat/galvanostat is developed from the ordinary single-channel CS350 potentiostat. The specifications of each channel are identical, current control range ±200mA, potential control range is ±10V. It can achieve simultaneous measurements for up to 8 channels. You can choose to use just one or some of the channels. 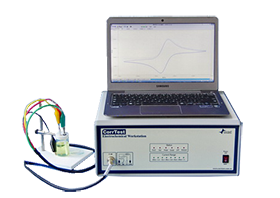 Multi-channel potentiostat brings convenience to the users who has various samples and makes the measurement more efficient. X is the number of channels, 2~8 channels, can be tailored.